Parvo or Canine Parvovirus can cause severe gastrointestinal symptoms in your dog. This extremely contagious viral disease is more common in young dogs. The virus can affect rapidly dividing cells in the small intestine and cause problems, such as vomiting and diarrhea. The virus can also target the hematopoietic progenitor cells in bone marrow and lymph nodes, which in turn increase the risk of sepsis. Any contact with contaminated materials can make your dog infected. Your dog is at a greater risk if they are partially vaccinated. When infected, your dog may develop a fever and look lethargic. There will be diarrhea and vomiting after 24-48 hours of infection – your dog may also vomit blood. The symptoms can be severe, and sometimes lead to septic shock, dehydration, and stress on your dog's heart, which could lead to life-threatening consequences. However, it is possible for dogs to survive Parvo, especially when you seek treatment early. In fact, the survival rate is quite high with 85% of puppies managing to beat Parvo. But, you need to bear in mind that the treatment options can influence the survival rate. In most cases, you can significantly increase the chance of recovery by controlling the diarrhea. "Can dogs survive Parvo? I would say, yes they can. Our Beagle caught Parvo but was saved by my son who cared for him 24/7. He slept near the dog and offered more fluid to him every time the dog threw up. He had to use a big hypodermic syringe to force fluid down him. The Beagle finally managed to pull through. We believe that your dog can beat Parvo too if you can keep them hydrated." "I was worried about my dog when I knew he had Parvo. I decided to take care of him at home and kept giving him fluids and Pedialyte. I gave him about ¼ cup every 15 minutes. I talked to my vet about it and he also prescribed an oral dose of worming medicine. Finally, our dog pulled through and was quite okay in a couple of days. Good luck!" Can dogs survive Parvo? They certainly can if you act quickly. This is the reason why it is important to know the signs suggesting that your dog is not okay. With Parvo, you usually notice symptoms within 3-10 days of infection. Parvo can be fatal in puppies, so it is important to react quickly and try specific treatment options to keep your puppy from collapsing. Some of the most common signs of canine parvovirus are fever, bloody diarrhea, loss of appetite, lethargy, vomiting, rapid weight loss, and malaise. 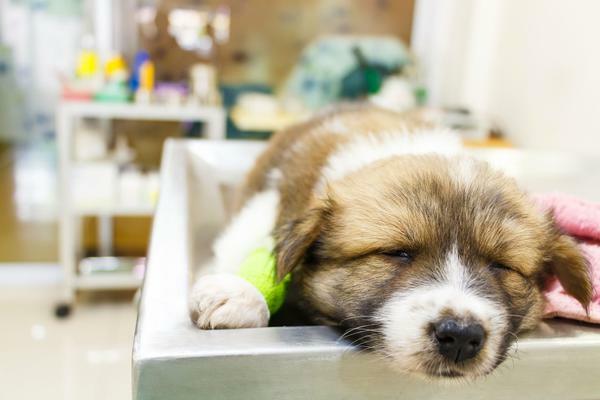 Keep in mind that not seeking immediate medical attention can lead to serious consequences because canine parvovirus usually progresses very quickly. When left untreated, it can kill your dog in 2-3 days. Therefore, you should see your vet as soon as possible to avoid complications, such as secondary infections, dehydration, and sepsis. The infection can also damage the spleen, so reacting quickly is critical. Unfortunately, you cannot treat it with medication because there is no antiviral medication available for this infection. The treatment involves replacing fluids and electrolytes that your dog is going to lose quickly. Controlling diarrhea and vomiting is also important. You need to support your dog and give their immune system time to clear the infection. Be sure to isolate your infected dog to avoid spreading the virus. It is important to administer electrolyte solutions often to prevent dehydration. Your dog may even require electrolytes intravenously in case of severe dehydration and vomiting. In severe cases, your dog may not be able to absorb nutrients and water through the gut. It is also important to monitor blood sugar levels as well as potassium levels in the blood. Sometimes, your dog requires colloid therapy, such as pentastarch if GI protein loss is severe (usually below 20g/L). Anti-emetics are also used to control vomiting. Can dogs survive Parvo? They sure can, especially with prompt treatment. In most cases, your dog can survive Parvo if you can help them survive for the first 4 days of the infection. If it happens, your dog is likely to recover completely in about a week's time. You can give them easy-to-digest food after vomiting has subsided. Be sure to talk to your vet first, but you can usually give them stuff like boiled chicken, cottage cheese, and rice. It is important to bear in mind that you need to be around your dog while they are recovering. The reason is that dogs can get stressed and your attention and companionship can help ameliorate it. Moreover, you should know that once your dog has survived an infection, there is usually no need to worry about having a re-infection, but your dog will still stay contagious for up to six weeks. Another thing to remember is that parvovirus is hard to kill, so you need to be very careful when cleaning room and all the materials that you think might be infected. In a humid environment, parvovirus can stay alive for months and infect other dogs. Therefore, it is better to dispose of all non-cleanable items to protect your pets. You can prevent most cases of Parvo by vaccinating your puppy. It should be done when they are only 7-8 weeks old. Until puppies are 3-4 months old, they should be receiving 3-4 Parvo vaccines every three weeks. Be sure to revaccinate your dog once a year – they usually need a Parvo booster every three years.